This past summer, Rick Springfield toured Europe with the Rock Meets Classic tour – an annual European tour featuring classic rock artists backed up by a symphony orchestra – and I guess he enjoyed it because now tickets are on sale for a June 29, 2018 show with the Nashville Symphony Orchestra. As I mentioned in a previous post, I’ve been binge-watching the television show “Nashville” (I just started Season 4) so the news of RS playing in Nashville fits right into that particular track of my life. AND in the episode that I just started watching, rock star Markus Keen just arrived in Nashville after being signed to Rayna James’ label. That’s it. Nothing too monumental and I’m not expecting Luke Wheeler to be a special guest at next year’s show or anything, but I just thought that was kind of funny. 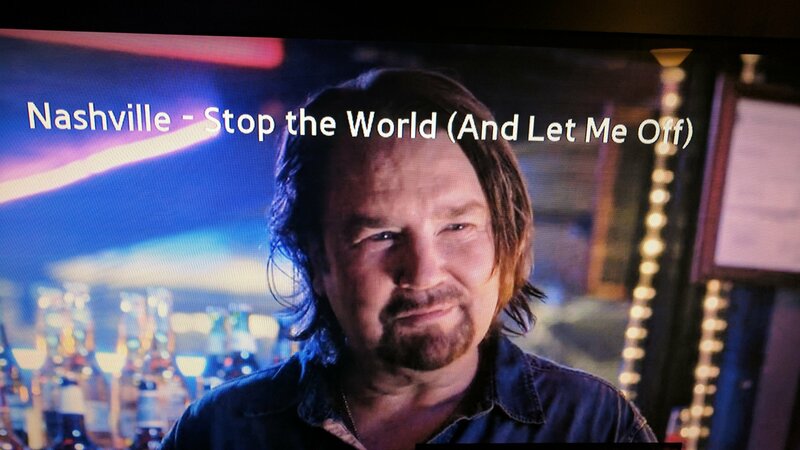 Update on Aug. 12, the day after I wrote this post: Guess who was on the episode of “Nashville” I watched tonight? Jack White, Rick Springfield’s drummer in the 1980s! Ha, life is so funny sometimes. It looks like there might be some live videos for tonight’s show in Vegas so I’m off to see. Thanks, Rick and the NEWSflash! My morning commute was physically the same as it usually is, but this morning, my mind took me on a completely different journey based on what played on the radio. It started with “Don’t You Want Me” by the Human League, which was my favorite song in eighth grade and reminded me of the crush I had on a classmate’s older brother. The reception on that station was a little fuzzy so I changed the channel and the next station was playing “Hungry Like the Wolf” by Duran Duran, which made me think of that time in high school when me and three of my close friends sat around in a circle singing “Hungry Like the Wolf” as part of a rehearsal of a band that we wanted to form but never did. We were HUGE Duran Duran fans in those days. Then it was “Danger Zone” by Kenny Loggins – a song my kids like. My husband recently watched “Top Gun” with them so that scene recently played on the TV in our living room. Next was “Jessie’s Girl” and you can probably tell that the musician who sings that is often on my mind. Then my internal musical journey ended because I got to the office. This Memorial Weekend, Rick and the NEWSflash Radio is broadcasting non-stop the tunes of Rick Springfield & Friends starting this Friday 1200AM PST 5/26/17 to 9PM PST Sunday 5/29/17. We will also feature the music of Jeff Silverman, Joe Taylor, Erick Baker, Jennifer Lynn Simpson, Drew Six, Dauzat St. Marie, Ken Sharp, Kenny Charles, Debra Lyn, Niclas Lundin, Shewolf, Michael Springthorpe and more! SAVE the below link to enjoy online.